Whether you’re an elite or recreational athlete, there are many factors that determine your athletic success. Some are genetic, but many are within your control. The tips below will help you get the most from your training and improve your sports performance. If you really want to improve your sports performance, you need to train movements that are relevant to your sport. While cross training is great, the majority of your strength and conditioning program should include exercises that are specific to your sport. Improving your flexibility not only helps prevent injury, but also increases the longevity of your athletic career. You can’t play sports or workout to your maximum ability if you are injured. The three most common types of stretching include: static, ballistic and dynamic. It’s recommended you do a combination of all three for maximum benefits and injury prevention. Whether you play golf, tennis, wakeboard, or practice gymnastics, it’s important to engage in core strengthening workouts two to three times per week. A strong core helps control your movements and shift your body weight to move in any direction with ease, which is crucial to performance and injury prevention. A smart athlete knows the difference between pain and discomfort. It is crucial to listen to your body and take time out when you are in pain. Pain is the body’s way of telling you something is wrong. Attempting to train or play through pain generally results in more serious injury that could have been prevented. Be smart and listen to your body. Improving your sports performance and becoming a better athlete requires your provide your body with the proper fuel. 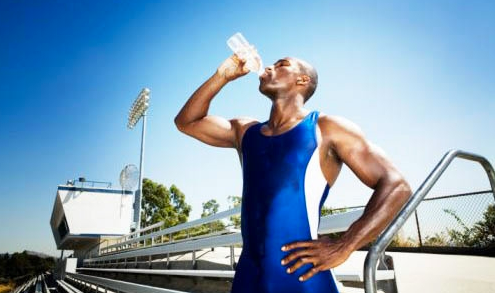 Practice good pre- and post-exercise nutrition and make sure you remain adequately hydrated before, during and after your workouts. This entry was posted in Fitness, Nutrition and tagged Athlete, Athlete's pak, Athletic Performance, core conditioning, Elite Athletes, Energy and Performance System, Hydration, Improving Sports Performance, Injury Prevention, Kristy Lee Wilson, Kristy Lee Wilson Fitness, Online Personal Trainer, Online Workout Programs, Orlando, Personal Trainer, Sports Conditioning, Sports Nutrition, Sports Performance, Sports Performance Enhancement, strength and conditioning, Windermere.